Just a little note before we get going. This is by far one of the ugliest slates you will see all season long, so don’t expect crazy scores like last night. I would say a solid cash game goal is 4-5x here. Let’s jump into the top plays at each position. There’s 5 games on the slate, but 1 is at 3:30, so that cuts us down to 4 for the main slate. I’ll be the first to say I’m not a big fan of how the NBA is scheduling this season, but we have to deal with what we’re given. There’s still spots to strategize on slates like this and the edge is still present. It just takes a little more work to get to. 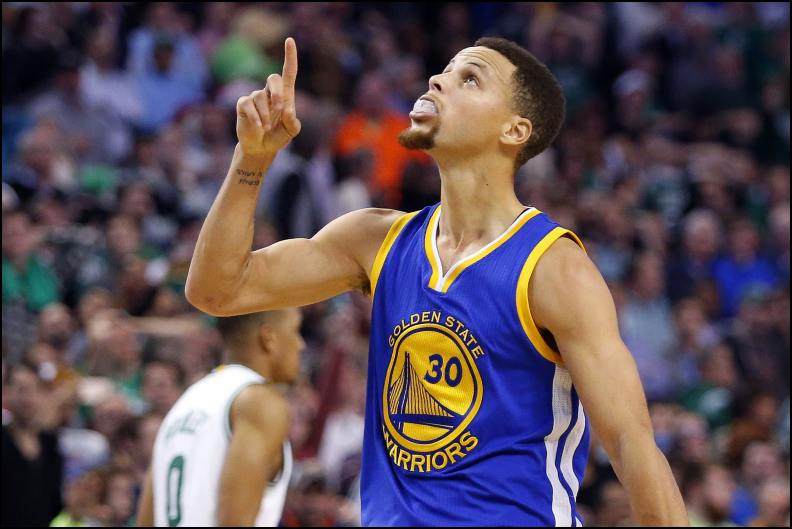 Curry was on the last short slate and performed, putting up 44 fantasy points against the Spurs. It’s what he’s been doing all year long. With the shots being spread around a ton, Curry hasn’t been over 60 FP. However, he’s been a lot more consistent than last season and his price is still down. On a slate with just about 0 good PG’s, Stephen Curry is close to a must. The Nuggets don’t play much defense and while this will likely be a blowout, he’ll get more numbers in 3 quarters than any other PG. The best thing working for Dennis Smith Jr. on most nights is that he’s a great player. The situation, however, is not. He’s the PG of one of the slowest teams in the WCF. Still, with just 4 games on the slate and PG being very thin, he’s in play here. When given the 25-30 minutes, you can almost guarantee 25-30 fantasy points will follow. The Timberwolves are worse against PG’s than any other position, allowing 48 FPPG (7th worst). Smith is still fairly priced on both sites and this game should remain relatively close. With some real studs on the T-Wolves defense, the offense may get tunneled toward Smith and Nowitzki (the two spots T-Wolves struggle against). The only position more disappointing than PG is SG. Or maybe it’s SF. The point is they are all pretty horrible and it’s a bit tough to fish out plays. The only real clear option at SG is Klay Thompson, who like Stephen Curry, has been very consistent. He’s been under 27 fantasy points just 1 time all season long and typically sits around 35. 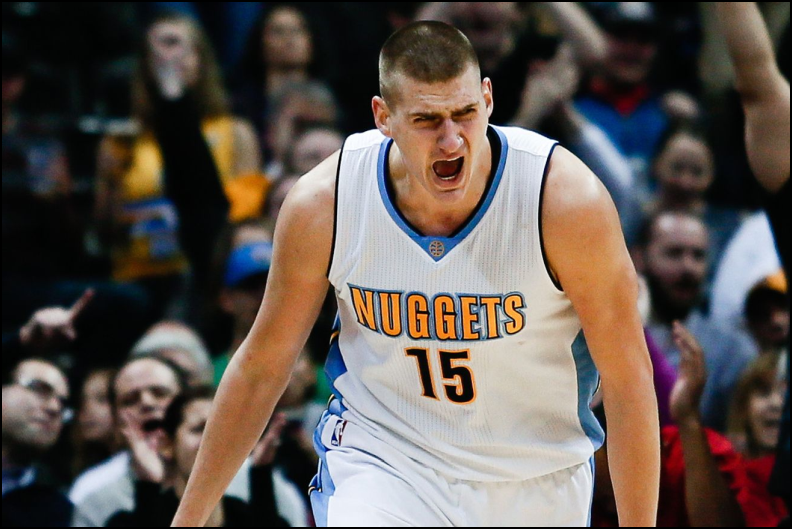 The Nuggets are a stellar match-up as they love to run the floor and give up a ton of 3’s. Things could change this year, so take this lightly, but the Nuggets allowed the 2nd most 3’s per possession in 2016. If the Warriors splash brothers start hot, they could have some big nights. 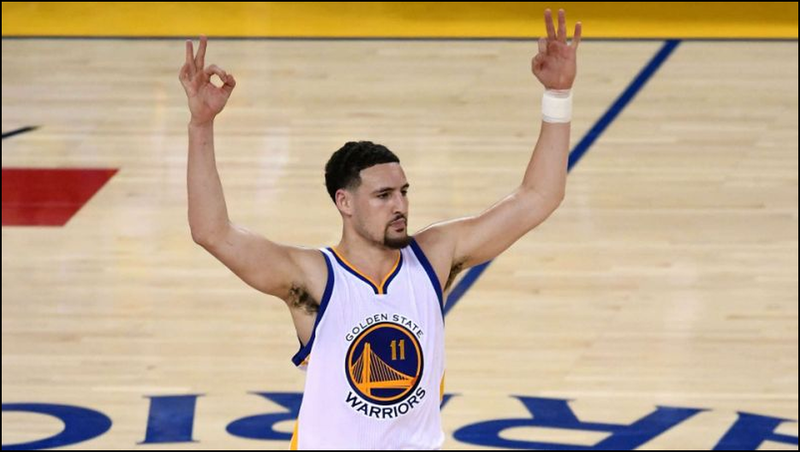 We know Klay will have 3 or 4 huge games this year, and this could certainly be one. He’ll probably be 80% owned, but we just deal with it on this slate. If you have all the funds, sure, you can play both Wiggins and Thompson. The floor is nice, but you’re going to have to find value that isn’t there at other position. Instead, you can go down to Will Barton and get some exposure on the other side of this game. With the Warriors being such a high-scoring team, you have to figure the Nuggets will let Barton out there for 35+ minutes as he is a great scorer and can match the pace that the Warriors play at. He’s been around 30 fantasy points in the games he starts, but is still inconsistent as Will Barton will always be. Klay Thompson is a good defender, but the Warriors allow the 9th most FP to SG’s because of the PACE(103.7) they play at. Against the Warriors, I have a hard time believing he doesn’t get to at least 25. On this slate, that’s perfect. Yes, you can play Kevin Durant here. If you have the funds, he’s the top play. I just don’t need to keep telling you that about all of the Warriors. Let’s touch on the Timberwolves, instead. Jimmy Butler is better than Andrew Wiggins and he’s making it pretty clear. He hasn’t gone for the 70 he went for a couple times in Chicago, but he’s getting huge minutes and laying extremely well. The consistency we expected with Thibs is already here and Butler will soon be the leader of this franchise. His price is too low and I personally like Butler over Durant in terms of point per $. If you can afford both, great, but if not, you’re going to have to decide what position is worth more to you. For me, Butler is a guy I’ll have a lot of. Small forward is right up there with PG and SG as positions that have some pretty ugly value. The guys at SF you can lean on is David Nwaba. Nwaba was in our lives for a few games in L.A. last year, but never materialized into a real DFS asset. This year, the Bulls just keep churning out random 6’4 SG/SF. Kris Dunn, Nwaba, Holiday, Valentine, and LaVine are all young perimeter players that can be succefull. Nwaba is getting around 25-30 minutes per game and he should see the upper end against a Pelicans team they will play big against. Nwaba is actually a very versatile offensive player, so don’t expect a guy that will sit in the corner all game. Value is a lock on a slate that has none. All you need is about 20. Supposedly, Alvin Gentry is one of the 30 best human beings at coaching basketball in this world. I think I can find 30 better in my town. My neighborhood, maybe. He’s the worst coach in basketball and it isn’t close. Opposed from having some of the best assistants in the league that carry him, Gentry does 0 things. His big contribution is minute distribution. And like the genius he is, he’s figured out a way to play Anthony Davis for 40 minutes a game after injuring his knee. He’s also figured out a way to let both he and Cousins be on the bench for 2-3 mins a game, even though they’re both close to 40 by the time it ends. It takes a real genius to let that happen. Whatever. 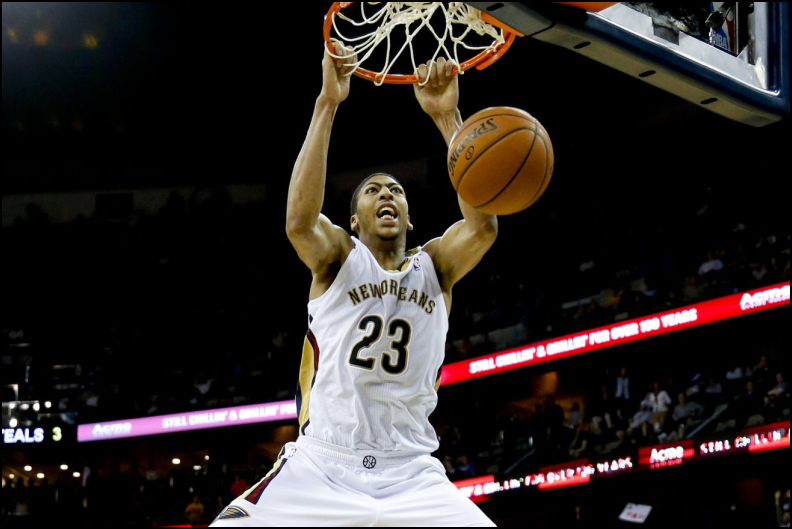 Until he gets worn down and injured again, we have to keep playing Anthony Davis. This match-up against the Bulls is as good as ever, with Lauri Markkanen at PF. He will have his way once again and likely finish around the 50-60 fantasy point mark. If salary wasn’t a thing, Davis is the top play of the day. Dirk turns 63 years-old today, so let’s get a little celebratory DFS roster going. Its only possible because of how ugly this slate is and how friendly the price on Dirk happens to be. He’s having a better year than the past 2, at least in terms of consistency in both minutes and production. It looks like Dirk is super healthy at this point and playing out the end of his career like we all hoped. He’s been over 20 fantasy points in all but 2 of the 9 games, and were in touch match-ups. He sees the T-Wolves tonight, who are nothing to worry about against bigs. Nowitzki is a lock for another 20 tonight with a ceiling barely over 30. For future reference, maybe there’s a bias here I am not aware of. As a Cowboys and Cubs fan, I think I can objectively say I have 0 bias. If anything, I roster guys against the Cubs way more than I should. Why the hell do you care? Because Nikola Jokic is my favorite player and I feel like I roster him on every slate (I do). However, he’s objectively the way to go at center in tournaments. Sure, Boogie Cousins and KAT are both safer. Their games are guaranteed to stay close and they will get minutes. With Jokic, however, I see this is a boom or bust game. If it happens to stay close, he could legitimately get to 80 FP. Sure, think I’m crazy, but he averaged 1.96 FP per minute against the Warriors in 2016. He loves the pace and is able to break down any defense with his league-best passing efficiency. Jokic is a guy I’ll be taking a stand on tonight, so if you find a lineup of mine without him, Oklahoma probably lost and the beer put me to sleep. The only reason Robin Lopez is somewhat tolerable this year is because the Bulls have nobody to lean on. When they have 2 or 3 of these guys (Holiday, Dunn, LaVine, etc.) step up as solidified scorers, RoLo will go back to 15-20 FP in 35 minutes. For now, he’s getting a bunch of shots and is needed for size. Especially against this Pelicans team. You can count on 35-40 minutes out of Lopez as long as he doesn’t fall into early foul trouble. The price is fair and with a lot of different ways to pay up on the slate, you may need some value at center. Personally, Nikola Jokic is the only guy I’m owning, so that tells you where I’m at here. The post NBA Daily Fantasy Basketball Lineup Picks for 11/4/17 appeared first on Lineuplab.